My friend and colleague, Hildy Gottlieb, from Creating the Future, convened a really powerful conversation this week featuring diversity and inclusion advocates Desiree Adaway and Ericka Hines. Such a worthwhile discussion, full of honest and open ideas and observations. You won’t regret the hour you invest in listening to this conversation. If you do nothing else, tune it at about the 35:30 mark for the second half. You’ll be glad you did (and likely want to rewind for the full hour!). Thanks Hildy, Ericka, and Desiree, for sharing this and for the work you’re doing. What if we were all connected? 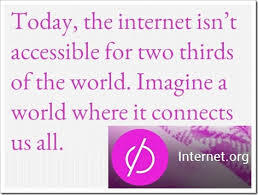 I have recently learned about http://www.internet.org, described as “a Facebook-led initiative bringing together technology leaders, nonprofits and local communities to connect the two-thirds of the world that doesn’t have internet access”. The projects it supports are aimed at removing barriers for the 2 out of every 3 people who can’t get online. It’s got powerful potential, and it’s a collective effort that spans the globe. It’s the people, however, that really make internet.org so compelling. The first I read about were Erika and Esmeralda, two young girls in Bolivia who share a friendship and a love for inventing. Using scraps and ingenuity, they are inspiring and pushing each other towards a better future. Without the internet. Wow. The more we talk about mental illness, the more we combat the damaging stigma that keeps so many from seeking help and finding support. It’s not hard. It’s a conversation that needs to continue all year long, but January 28th is a good day to begin. 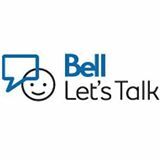 Watch for events where you live or work, check social media, and have a conversation about mental health with someone you care about. Simple conversations can make a big difference. If you were voting, a very big thank you! The Journeys of Change theatre project, an initiative of the Community Child Abuse Council, came out the winner of the $25,000 prize from the Hamilton Spectator’s SpecKids Change Challenge. The project will bring to life the stories and experiences of newcomer students in an educational and inspiring effort to build understanding and cultural awareness in our community. High school students across the region will see the production, and participating students (writing, design, production, staging, acting) will gain credit for their contributions. The Council’s OASIS Program offers specialized supports and counseling for immigrant and refugee children, youth, and their families who are experiencing trauma symptoms or significant acculturation stress. An extension of the program has counselors working to to provide accessible support on-site within schools with the greatest number of newcomer students. These services are limited at this time, but remove some of the barriers that otherwise make it difficult for refugee students to access mental health supports. Thanks to the Hamilton Spectator, SpecKids Unlimited, and the Change Challenge, the program can now extend further by involving newcomer students in a creative endeavour that builds community and helps to integrate and embrace our newest members.